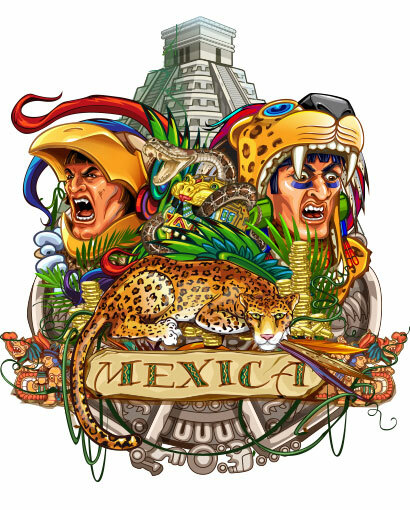 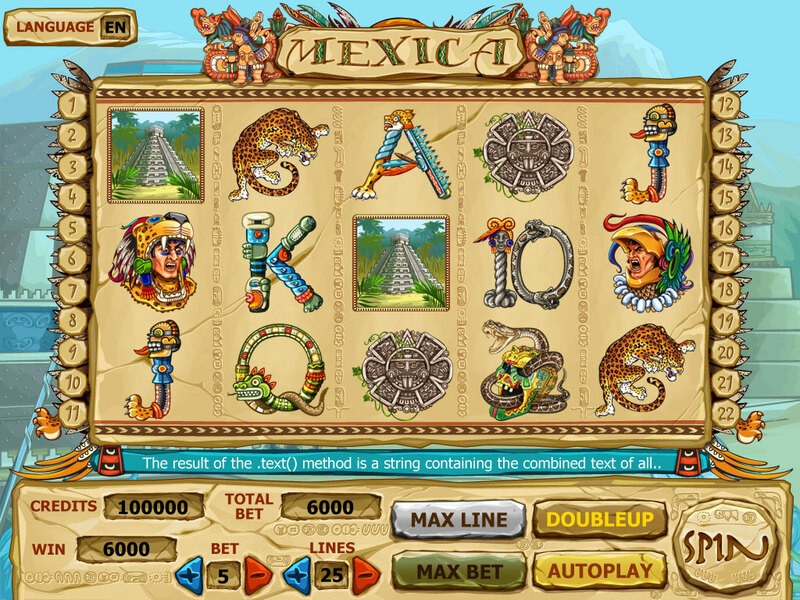 For the main background image of this slot were selected the Mexican pyramids, behind of them you can see the peaks of the mountains. 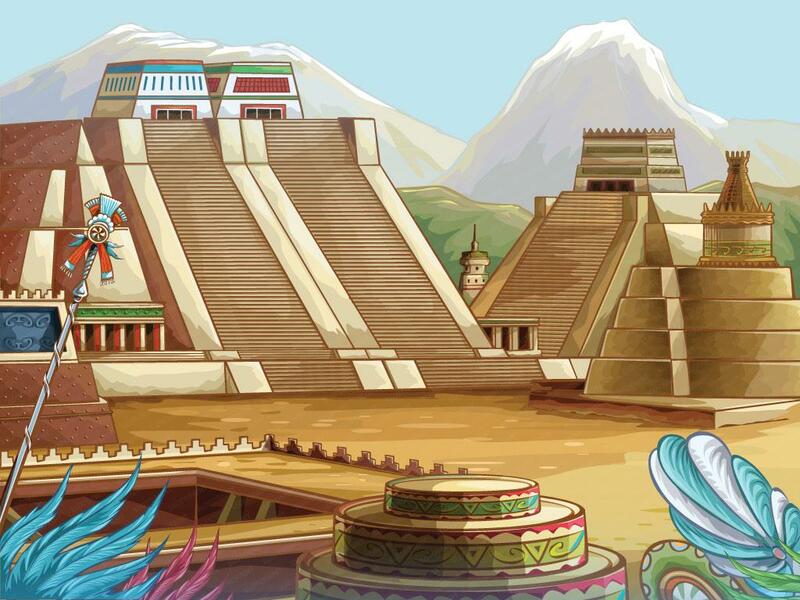 This background image can be used as a pop-up screen and transition between the pop-up window and the main game mode. 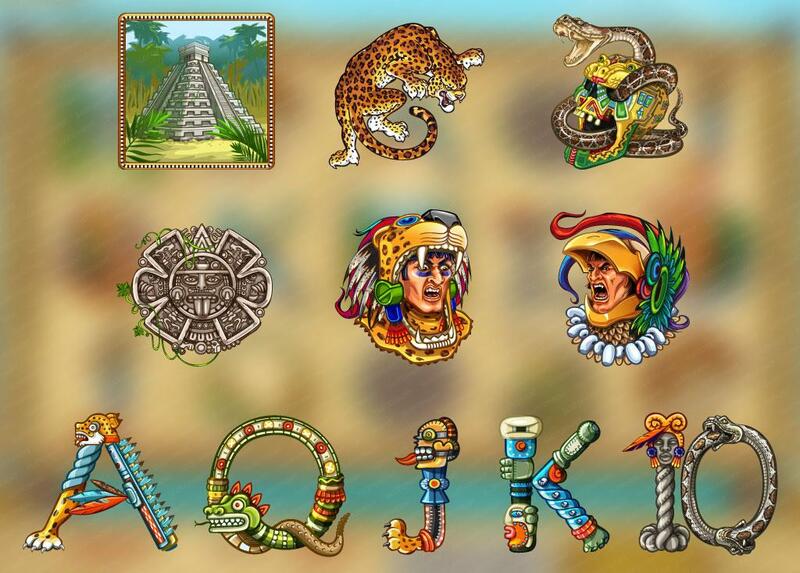 The game interface is in central part of the background image and doesn’t overlap its remaining parts. 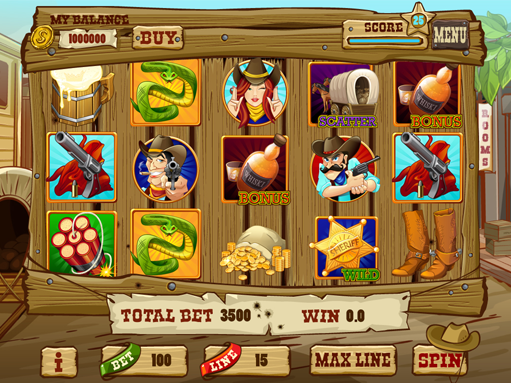 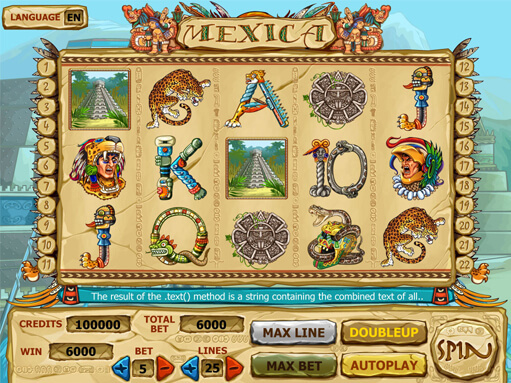 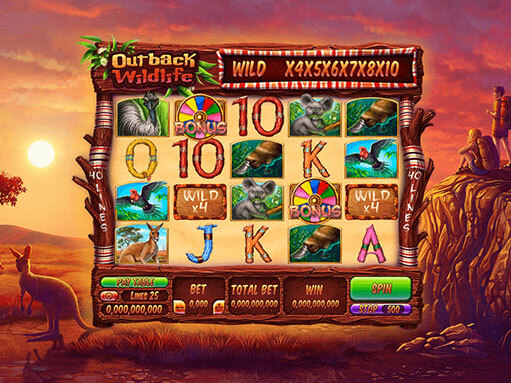 This screen is an auxiliary table of rules and payments, where the player can get acquainted with all the numerical values that are awarded for the simultaneous getting of game symbols from the “low”, “medium” and “high” categories. 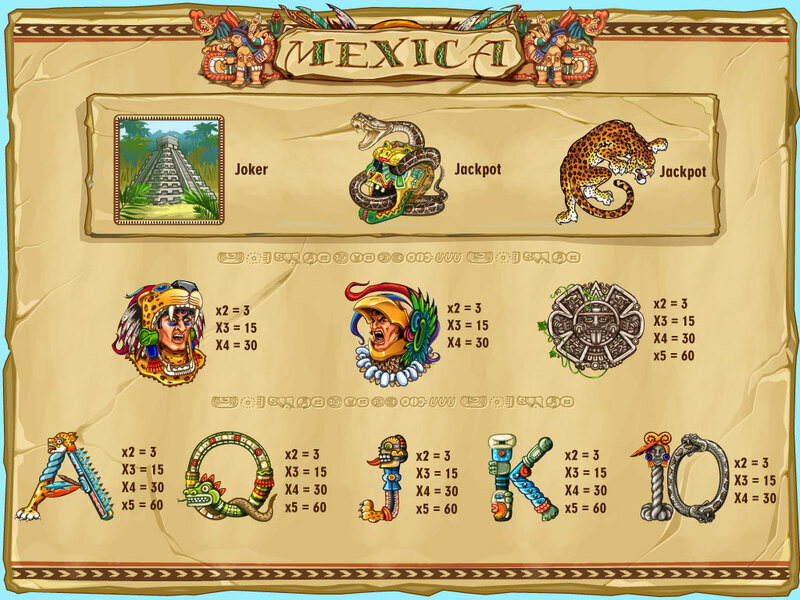 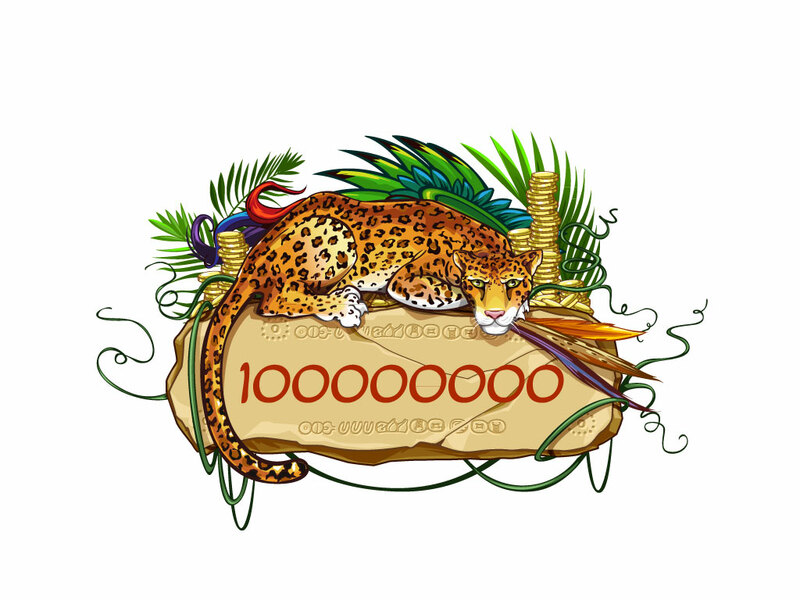 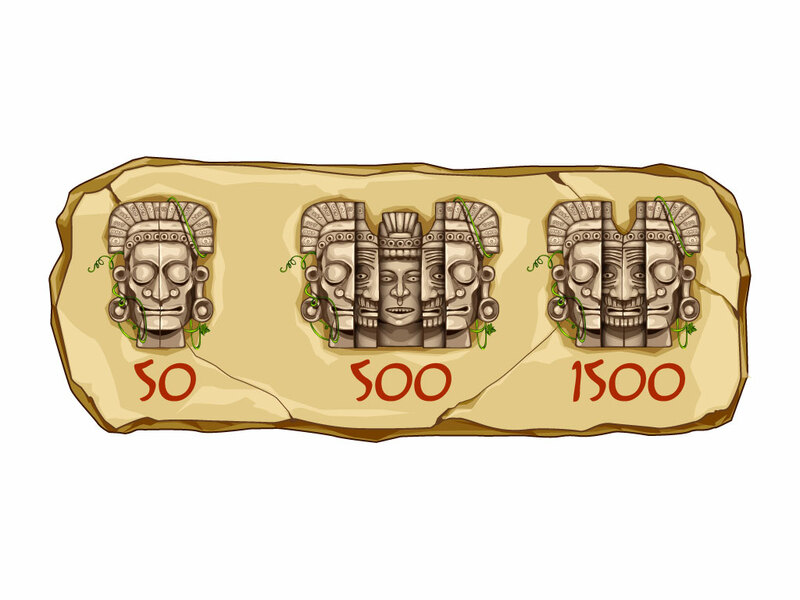 The more symbols of a certain type occur simultaneously on the game reels, the more winning points you get.